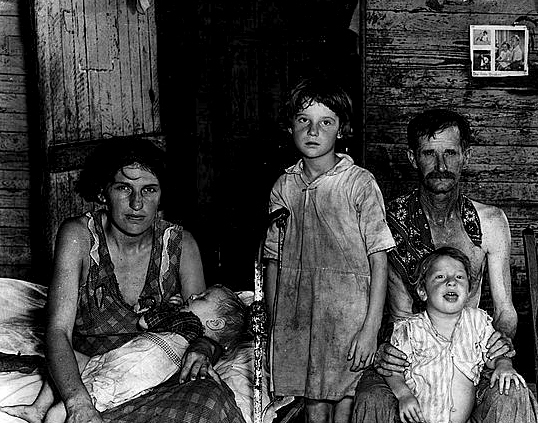 In 1936, Walker Evans travelled to Alabama to document the life of sharecroppers. This family worked a farm in Hale County. Courtesy of Library of Congress. Photograph by Walker Evans.